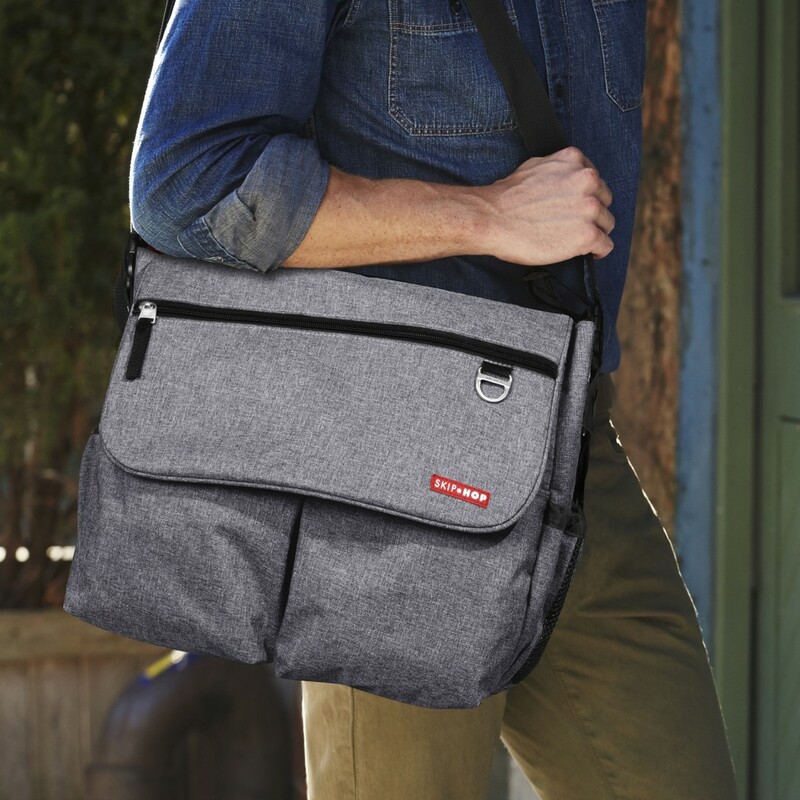 Sporting a hip, urban design with classic unisex style, the Dash Signature changing bag from Skip Hop will look just as good on Dad as it does on Mum! 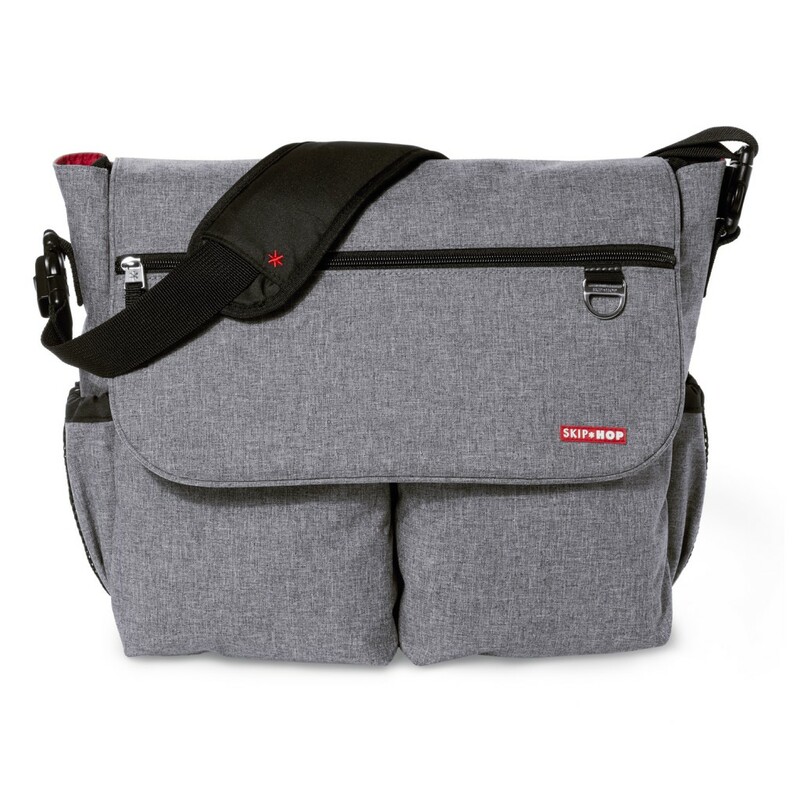 Including patented Shuttle Clips, the bag can be hung neatly on your choice of stroller or comfortably over your shoulder thanks to the ergonomic shoulder pad. 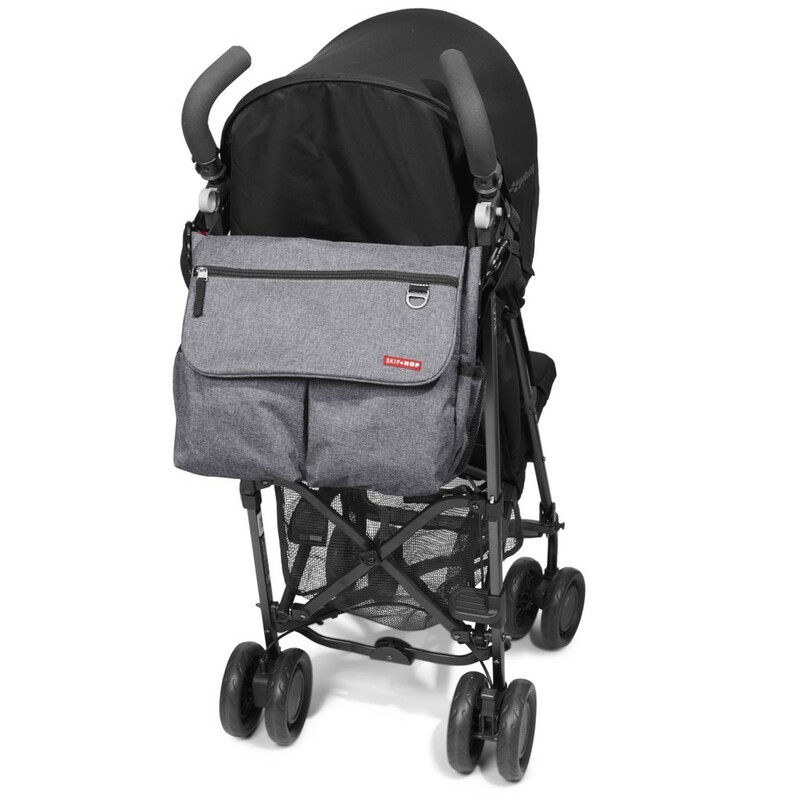 The adjustable shoulder strap is also conveniently removable for a more streamlined look when attached to the stroller. 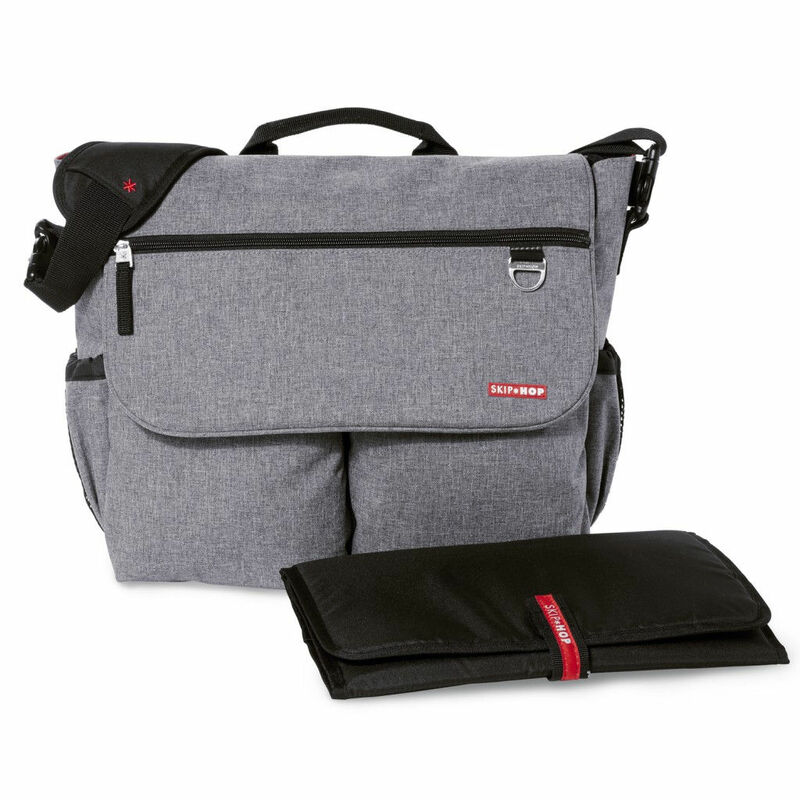 Featuring eleven spacious pockets, there is plenty of room for carrying baby’s essential items and also a zippered compartment for keeping Mum & Dads personal items separate too. 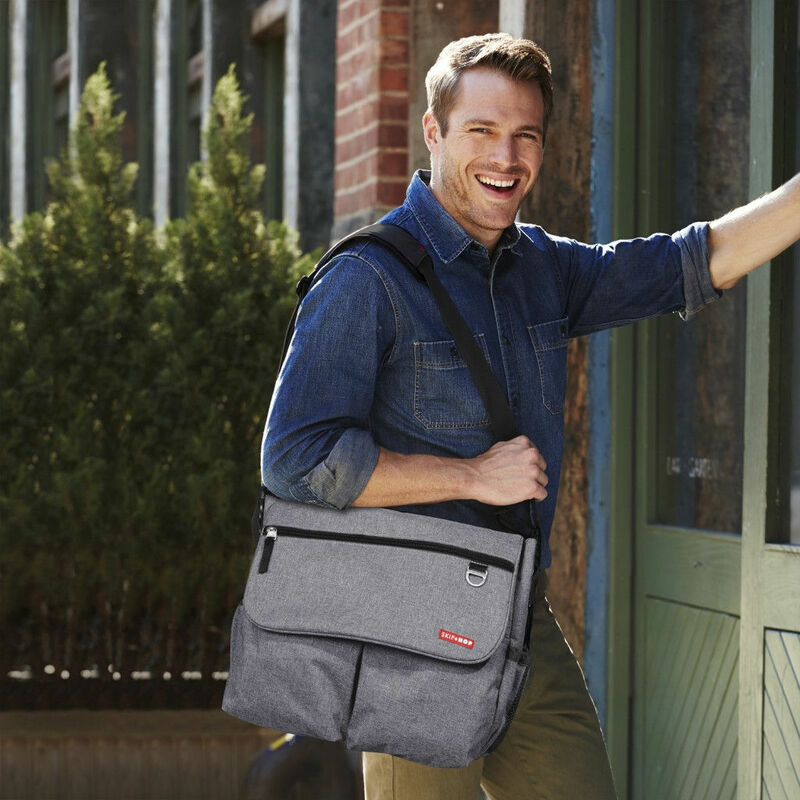 The two side pockets are great for bottles or sippy cups and the contrasting lining makes it easy to find everything inside.